There are a lot things that we love about animation. We love how it makes us laugh and takes us through these wild adventures … and even the intimate stories. And boy, do we ever love a good story. 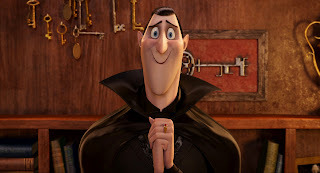 That’s why we are so excited for our upcoming newsletter and feature on Sony Pictures Animation’s “Hotel Transylvania.” The film brings together an all-star animation cast of Count Dracula and his daughter Mavis, Frankenstein and his wife Eunice, Quasimodo, the Mummy, and dozens of other characters. 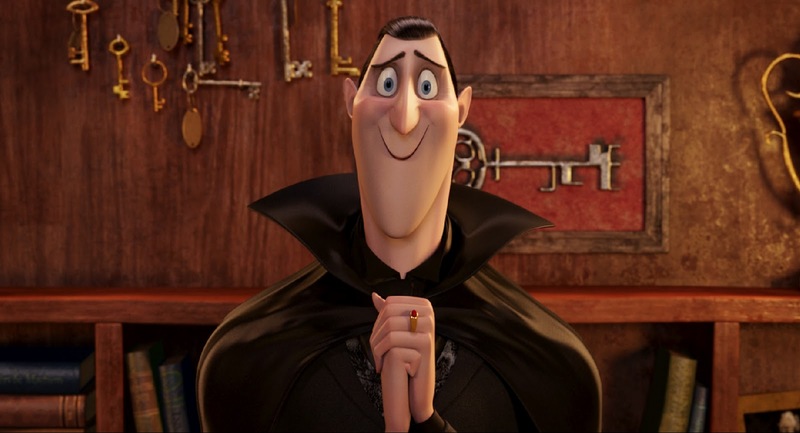 Our newsletter feature takes us on a visit to “Hotel Transylvania” — through the eyes of mentor Patrick Danaher and alumnus Jason Malinowsky — and the technology, rigs, and talent required to tell the story of Count Dracula seeking a little rest and relaxation away from those pesky humans. But we’re not going to give away the entire story. Check your inbox next week for the October/November issue of the Animation Mentor newsletter. If you’re not already a subscriber, checkout a past newsletter. Then visit our home page and subscribe today. Like us, share us, and chat with thousands of others about us in the global Animation Mentor community. So excited for this movie! thank, This article is very interesting and helpful the blog. ..
Wow, This article is very interesting and helpful .. This post is really informative and helpful, keep it up this Good work. So nice and graceful.....the ultimate beauty is here indeed. thanks for share great post i provide best tips for commodity market and improve with this post. Thank you for taking the time to provide us with your valuable information. We strive to provide our candidates with excellent care and we take your comments to heart.As always, we appreciate your confidence and trust in us. That was an pretty impressive post and i appreciate it, thanks for sharing. This blog explains the details about what happened after the expressions. This gives the details of the thinking next what to do. All that are discussed and provide a grateful talk. Usually I do not read post on blogs, but I would like to say that this write-up very forced me to try and do it! Your writing style has been surprised me. Thanks, very nice article. nice and more impressive techniques are using your automation techniques. keep sharing more information. I am totally impressed with the way you have presented this website as well as your helpful content. Very nice post here thanks for it I always like and search such topics and everything connected to them. Keep update more information..
- First, Jetpack Joyride Game is an addictive action game that rewards its players with tons of items and challenges. Jetpack Joyride Game is an arcade-action game where you avoid hitting objects while collecting coins. - And finally, Jetpack Joyride 2 is a side-scrolling endless runner game created by Halfbrick Studios. The game uses a simple to control the jetpack; when the player presses anywhere on the screen, the jetpack fires and Barry rises. Relax and share with me if you feel it good. Thanks for the information you brought to us. Look forward to reading more useful and new articles from you! Thank you for sharing this article with us! I believe there will be more people like me, they can find many interesting things in this article of you! I hope you have many similar posts to share with everyone! Interesting post! Thanks for writing it.What's wrong with this kind of post exactly? It follows your previous guideline for post length as well as clarity. I was amazed by you. It contained interesting to see and not boring. I hope this website you manage to be the best and be number one. Thanks for sharing valuable info.. Being new to the blogging world I feel like there is still so much to learn. Your tips helped to clarify a few things for me as well as giving.. I am Roshani Khanna an professional content writer in gurgaon. I am happy to give reviews to this website. I would like to say thank you for the amazing details and concepts you are sharing in this. “Hotel Transylvania" !!!! This is really great news dear!! By the way i have also read the past news later. Thank you very much for sharing this post. I regularly visit your site and find a lot of interesting information. Thank you and look forward to your page growing stronger. Info is really nice and I like your style to write full info in deep to help like us who don’t know about this, really helpful. I have also gone through your other posts too and they are also very much appreciates able and I'm just waiting for your next update to come as I like all your posts. I also recommend your valuable readers to visit here for JSC Result 2017 of Bangladesh Education. Thank you so much again.